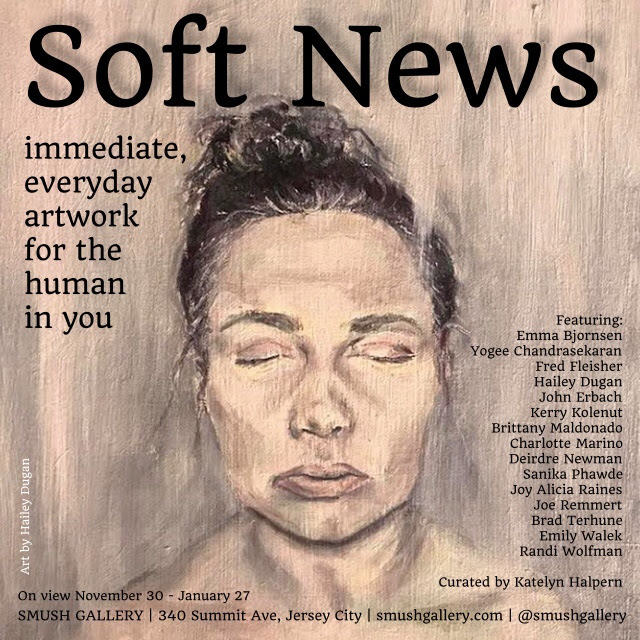 See new work by Illustration Seniors at SMUSH Gallery in Jersey City on view November 30-January 27th! The artwork for the exhibition’s poster was created by Hailey Dugan. 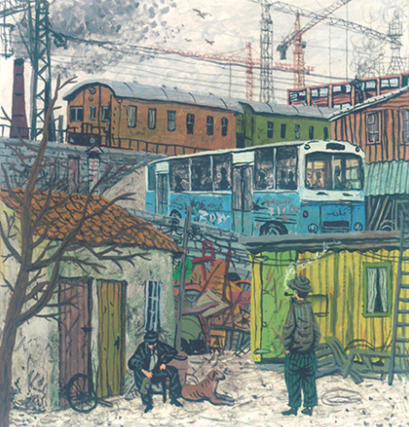 A 280-page illustrated and hand-lettered visual memoir on a German family’s memory of WWII. 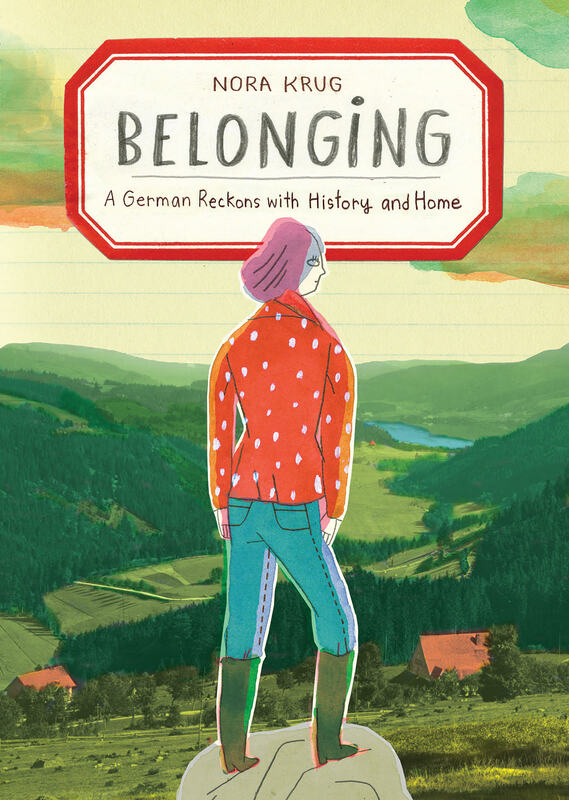 Belonging wrestles with the idea of Heimat, the German word for the place that first forms us, where the sensibilities and identity of one generation pass on to the next. In this highly inventive visual memoir—equal parts graphic novel, family scrapbook, and investigative narrative—Nora Krug draws on letters, archival material, flea market finds, and photographs to attempt to understand what it means to belong. A wholly original record of a German woman’s struggle with the weight of catastrophic history, Belonging is also a reflection on the responsibility that we all have as inheritors of our countries’ pasts. Fall 2018 release in the following countries: USA (Scribner), UK (Particular Books), Germany (Penguin Hardcover), Holland (Balans), France (Gallimard). 2019 and 2020 release in the following countries: Norway (Spartacus), Sweden (Norstedts), Spain (Salamandra), Brazil (Companhia das Letras), Italy (Stile Libero), and Denmark (Gads). 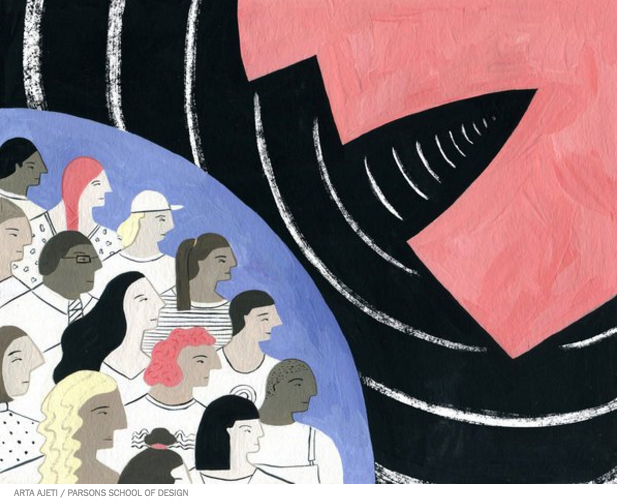 “Right after graduation, I started working for two creatives who are working as co-creative directors and art directors for the Metropolitan Opera. A few month in, I was asked to illustrate for the upcoming holiday campaign. Although up until now I have not been aware of the magnitude of the project, every little work given to me has been precious and important, even dog sitting. I was asked to create 4 posters, animation and 4 title art. The beginning of the project was the time I struggled the most since I had to adjust my medium and style. In October and November when we were making the animation (https://m.youtube.com/watch?v=FbzaGDuNE9M). 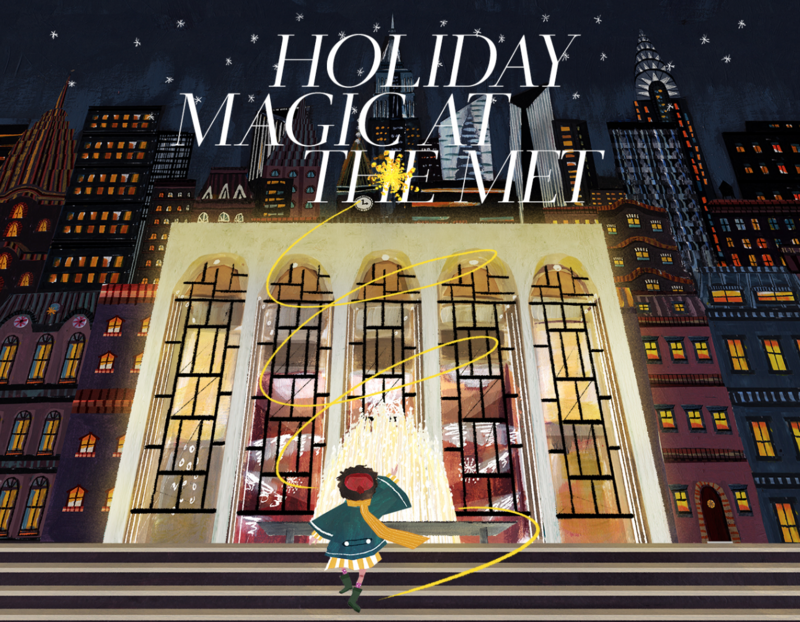 I often visited the Met Opera and the street surroundings. One night I was invited to see the show for the first time in my life at Lincoln Center. I did not really realize how amazing the opportunity was up until I saw the performance. It inspired my work to a next level and made me want to make this project even more successful. Most importantly, however, I was blessed to be around an amazing team of talented people who guided me through the project step by step. This year marks the 65th anniversary of the Best Illustrated Children’s Books Award — and the first year of the Times’ partnership with the New York Public Library on the honor. Called, The New York Times/New York Public Library Best Illustrated Children’s Books Award. The Times and NYPL share a mission: to recognize the best in children’s literature and bring great books to young readers. The 2017 judges featured The New School’s Illustration Professor, Steven Guarnaccia, the author and illustrator of numerous books; Marjorie Priceman, the author and illustrator of many children’s books and the winner of two Caldecott Honors and two New York Times Best Illustrated Books Awards; and Louise Lareau, the head librarian of the New York Public Library Children’s Center. Read more on the selected winners. 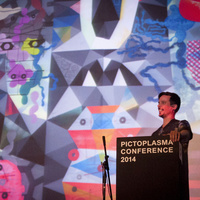 The Pictoplasma Conference presents 8+ hand-picked key lectures by the world’s most influential artists and upcoming talents, cutting-edge graphic, toy and game designers, and leading animation filmmakers. It is the meeting point for 500+ international attendees, offering the chance to learn from, be inspired by, and rub shoulders with some of today’s most innovative and avant-garde visual creators. Read more. Free tickets are available to THE NEW SCHOOL staff, students and Faculty with Reservation here, while supplies last. Space and seating is limited. Register here. On October 21st, Pat Cummings will be the 2017 Keynote speaker at Rutger’s 48th Annual One-on-One Plus Conference. It offers aspiring writers and illustrators an opportunity to have their work reviewed by more publishing professionals than attend any other conference of its type. Additionally, on Oct. 1st, former Parsons faculty member Paulette Bogan will be featured. And on Oct. 15th, Paul O. Zelinsky who also taught Children’s Book Illustration at Parsons will be speaking. Read more. Motomichi, in collaboration with DJ Kanizzle, will choreograph a pulsating 4-hour score to accompany his signature red, black and white patterns and giant monster characters projected on the facade of the Hotel La Fonda on Taos Plaza. The Paseo Project is a 501c-3 nonprofit whose mission is to transform art through community and community through art. The Paseo Party on the Plaza is the Paseo Project’s fourth annual fall outdoor art event. It is again part of Taos Fall Arts Festival’s opening weekend events. This event is sponsored by The Town of Taos, Taos County Lodgers Tax, the Lor Foundation, Taos Community Foundation, and many generous private donors. STEMarts@ThePaseo is supported in part by New Mexico Arts, a division of the Department of Cultural Affairs, and by the National Endowment for the Arts. Additional funding is provided by the Martin Foundation, the Nina E. Nilssen Scholarship Fund, US Bank, and Americorps VISTA. The 192nd meeting of the NY Comics & Picture-story Symposium will be held on Tuesday, Sept. 19, 2017 at 7pm at Parsons School of Design, 2 West 13th Street, in the Bark Room (off the lobby). Free and open to the public. 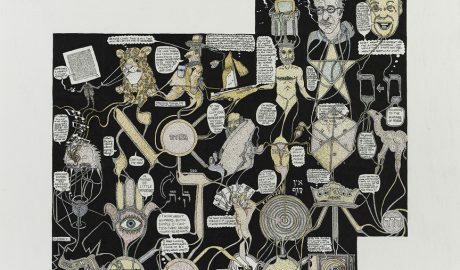 Martin Wilner will trace the unusual arc of his work from learning to draw from comic books and strips in grade school to becoming a psychiatrist and a widely exhibited visual artist. He will describe his ongoing drawing projects and an existential work process that draw upon the techniques of psychoanalysis in a highly original manner without losing sight of his vicarious tutelage at the hands of the comic art masters. Copies of his Freud Museum London monograph, Martin Wilner: The Case Histories will be available for purchase at the talk. Martin Wilner is a visual artist and psychiatrist. 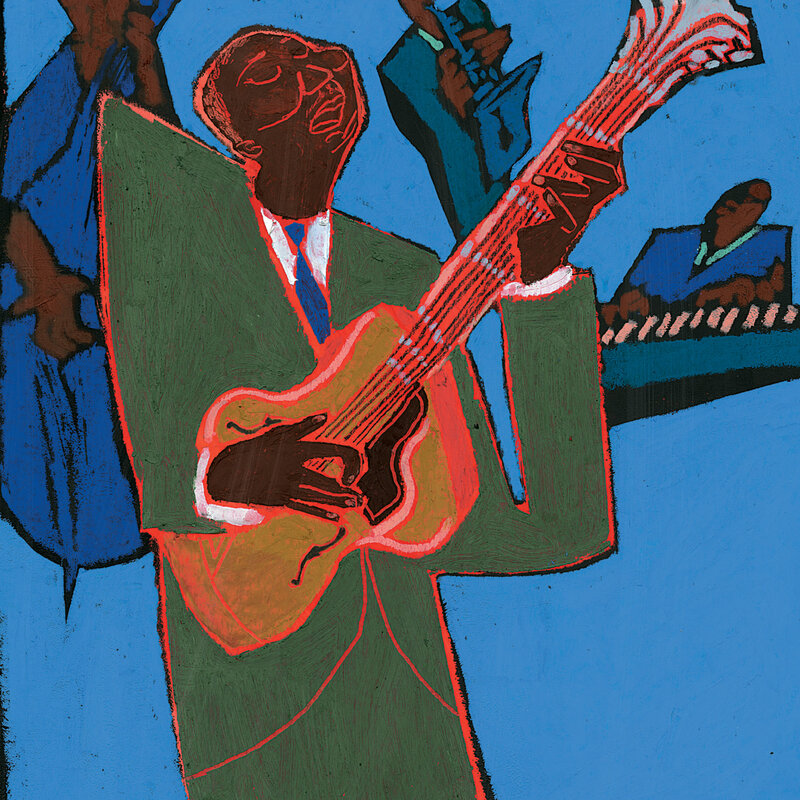 His art has been exhibited and published internationally and is included in many prominent public and private collections including the Whitney Museum of American Art, the Los Angeles County Museum of Art, The Morgan Library and Museum, and the Jewish Museum. He recently had his first one person museum exhibition at the Freud Museum London and has been included in numerous museum group exhibitions including Embracing Modernism: Ten Years of Drawings Acquisitions at the Morgan Library and Museum, Reinventing Ritual at the Jewish Museum, and Making Contact at the New Museum Los Gatos. He has lectured on his work process at the Drawing Center, the Freud Museum London, SXSW, and the Payne Whitney Clinic at Weill Cornell Medical College. 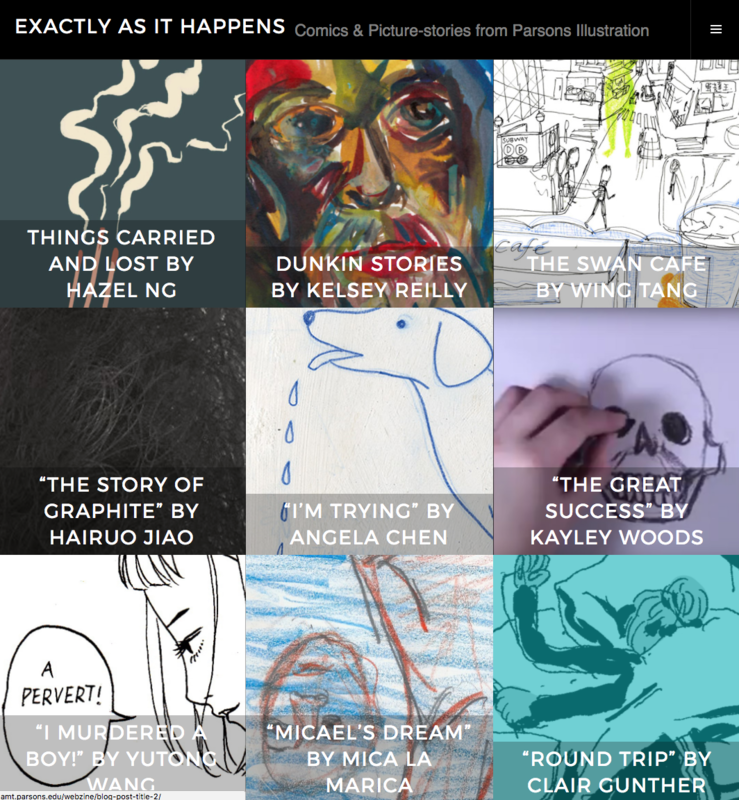 The Illustration program at Parsons School of Design teaches students to be exceptional visual communicators. Program graduates confidently pursue multifaceted careers, creating editorial illustration, comics and graphic novels, picture books, motion graphics and animation, toy and product design, pattern and surface design and gallery art.